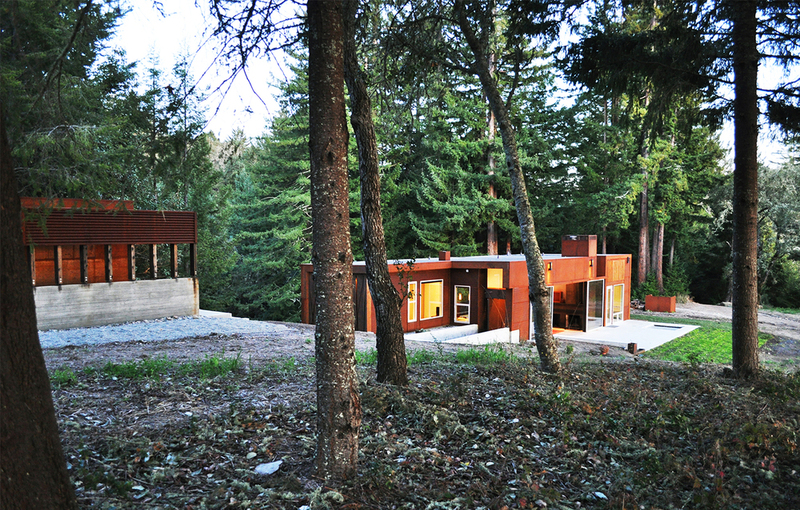 Tucked into the woods with vistas across Monterey Bay, this mountain retreat opens completely to the surrounding environment yet remains low maintenance when not in use. 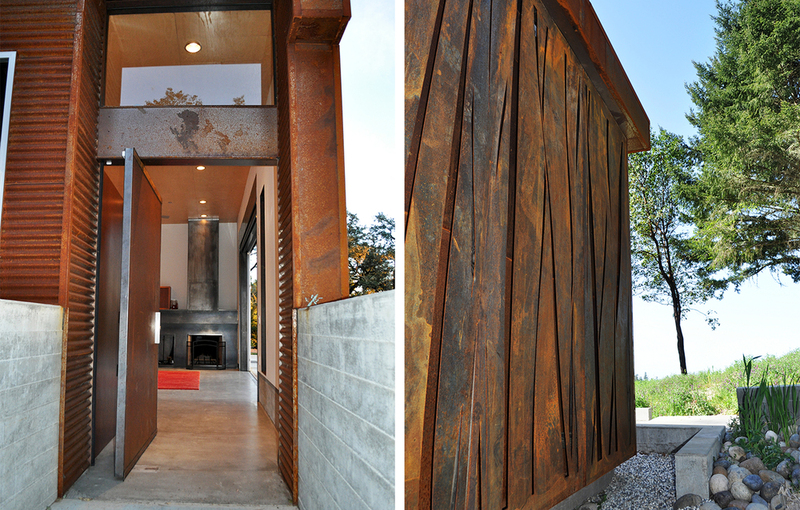 Twin sets of 10' tall barn doors on each side of the house roll aside to extend the living space into the outdoors, while the A606 steel exterior ages to a protective rusty patina that requires no additional care. 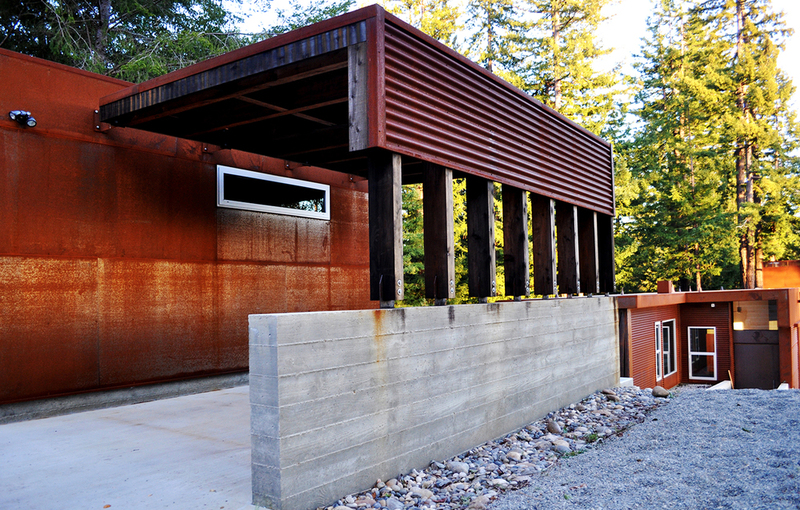 The first complete design build project by Fuse, this house was a catalyst for future projects where Fuse would act as both architect and general contractor.